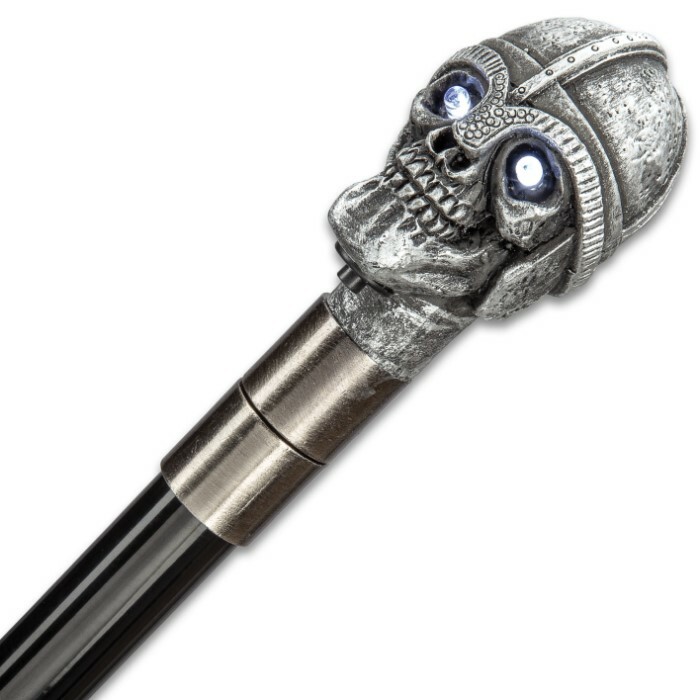 When you step out with our Evil Eyes Skull Head Sword Cane with its bright red eyes lighting the way, people will definitely take notice of you! 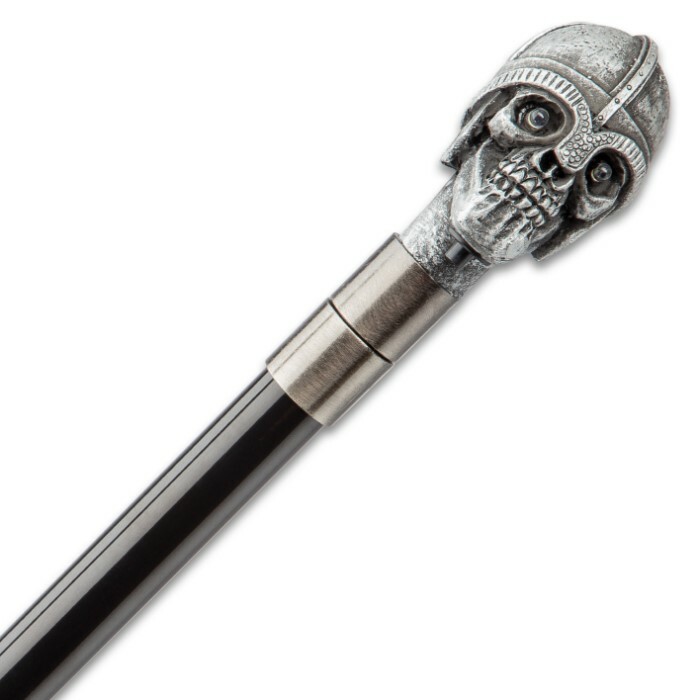 It has a 15 1/2” 3Cr13 stainless steel blade hidden in the black aluminum shaft, which can be accessed by unscrewing the handle. 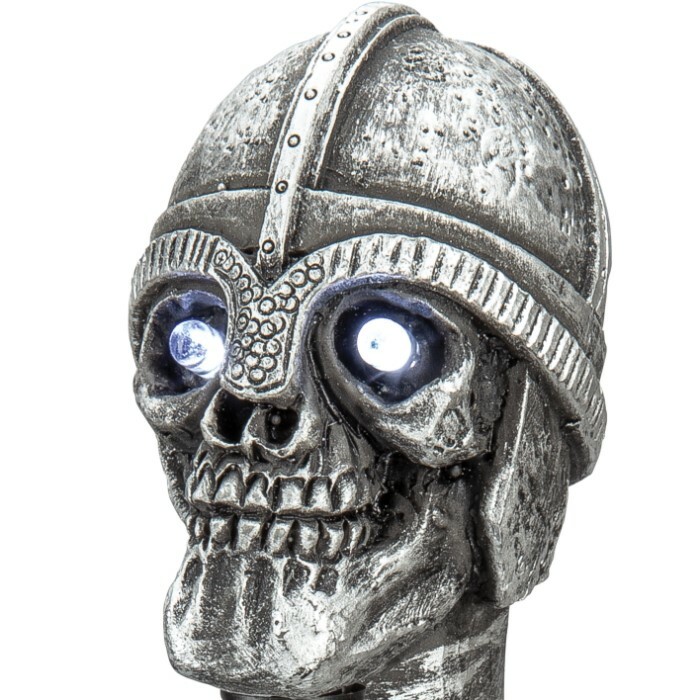 The handle has been expertly crafted of polyresin in the intricately detailed form of a skull wearing a battle helmet. 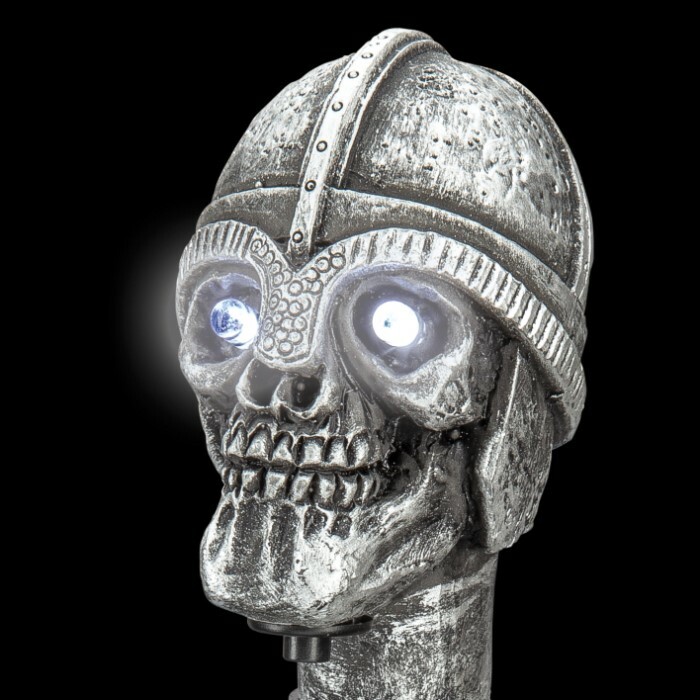 Giving a uniqueness and eye-catching appeal to this fantastic sword cane, the skull’s eyes are bright, red LED lights. 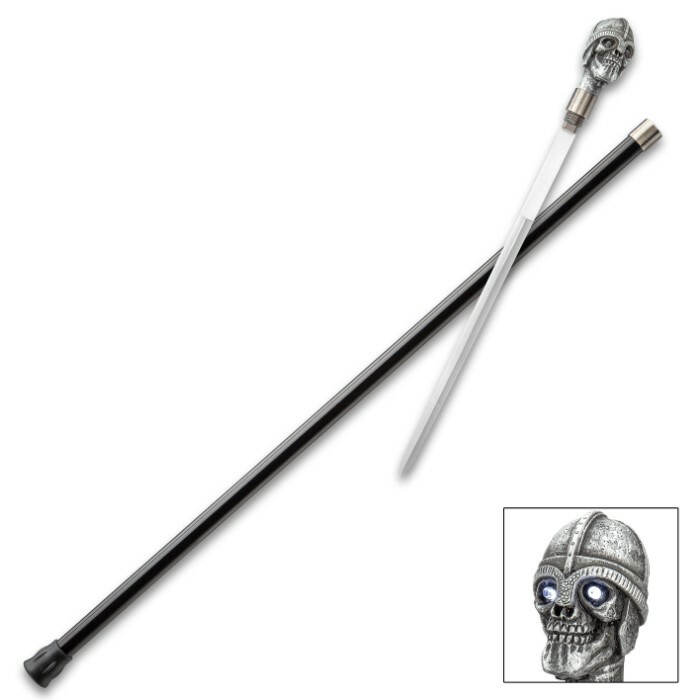 The magnificent sword cane has an overall length of 36” and has a rubber toe for a slip-free grip when you’re walking. You’ll want to take it everywhere!